Rustic, dreamy, & timeless portraits for new babies. Ranked Best Houston Newborn Photographers 2016, 2017, 2018, and 2019. Howdy! I’m Sarah! Specializing in the custom of the art of posed newborn portraiture, my sessions are timeless, natural and rustic. The final product is a dreamy gallery that stands the test of time! It's truly an honor to document your little one! 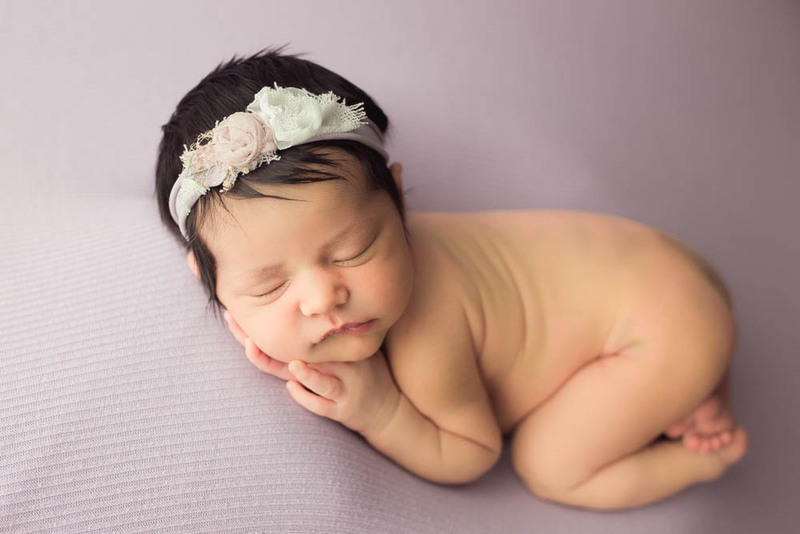 Appointments take place when your darling cherub is preferably 14 days or less in my Houston Newborn Studio located near Barker Cypress and 290 in Northwest Harris County. Please note, however, appointments are available up to 40 days new for specific packages. If your baby has spent time in the NICU, scheduling is more flexible and available up to 13 weeks old. To date, I’ve photographed over 900 new arrivals and average 240 newborn sessions per fiscal year. Vintage pieces, rustic props, and organic textiles are the heart of my timeless styling. All props are provided from wraps, headbands, caps, bonnets, buckets, bowls, crates, baskets, etc. A custom newborn session is a perfect way to authentically preserve this incredibly special milestone in your life. Parent, family, and sibling images are also available. 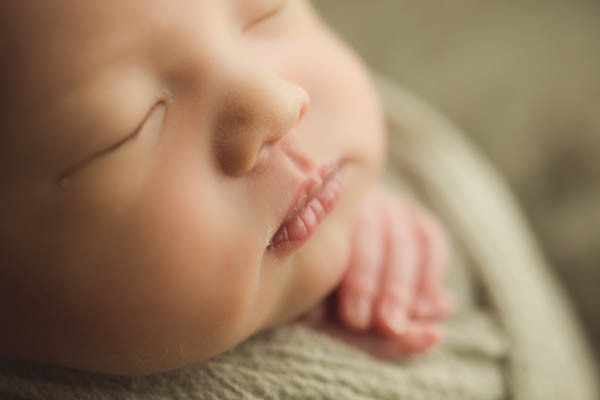 Tiny eyelashes, big yawns and stretches, squishy rolls, serene sleeping faces, and their curly, brand new nature are everything good and beautiful about cherubs. Of all the childhood photos, Baby's first images will evoke a sense of tender, unconditional love. You spent months dreaming of their face and imagining holding little one in your arms, the weight of them against your chest, their scent enveloping your senses. 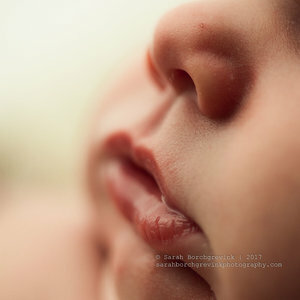 My heart belongs to infant photography and I cannot express the joy I feel in working with my petite, precious clients! I look forward to meeting you and working together! Congratulations on your sweet cherub! All my joy and warmth to you. 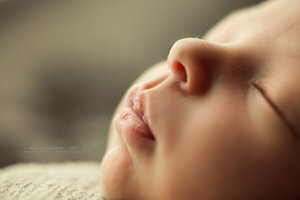 Tiny details of Baby's unique features, called macro images, set your gallery apart. Moreover, cozy, unique wrapping as well as adorable bean bag posing are cornerstones to my newborn portraiture. Top safety techniques are always implemented. The all white ethereal light is perfectly classic and timeless while my custom built wood wall encompasses all things vintage and farmhouse inspiration for truly stunning family or parent posing! There are three new backdrop options such as mocha, white, or grey, designed for Mom and Newborn, Dad and Baby, Sibling and Little One, as well as the entire family, or even first-time parents swooning over their new addition. Fully inclusive sessions mean you select a package that includes the number of digital files you'd like to receive. This rate also includes time, talent, full styling and props, session design, retouching, proofing gallery, the full resolution digital downloads of your non-watermarked files as well as a unlimited print release. See a transparent and detailed newborn pricing guide. Either the second or third trimester is the ideal time to book or even when Baby is born, as appointments are available 6 days per week. There are also session options for older newborns or babies or little one's who spent time in the NICU. Online Newborn Baby Session Booking is how you select your package, pay your deposit, and sign the contract. Once Baby is born you’ll select an appointment from an online scheduling calendar, preferably in the first 14 days of life. You are also welcome to visit the studio for an in person consultation if this is your preference, too. A styling questionnaire and newborn prep guide are given. Your session will last 1-2 hours, depending on the session type, with all the props and styling provided. Simply bring Baby and their diaper bag essentials. My studio is fully stoked with everything needed for fantastic baby portraits! Luxury and hand-made, one of a kind, props make my heart sing. All packages include retouched, non-watermarked full resolution digital files. There are no separate session fees or minimum print orders to secure your gorgeous gallery. 14 days after your appointment, you receive a private proofing gallery of finalized images you may view from the comfort of your home. You select the number of digital files included in your package. You may instantly download, share, and treasure your full resolution digital gallery of perfected portraits. A list of reputable print labs is provided. Read everything you need to know about how clients receive and select their images. NEW ANNOUNCEMENT: New Studio Located in Uptown Coming May 2019 centrally inside the 610 loop off San Felipe inside the prestigious Post Oak Park. The commercial office space is near the Galleria, Williams Tower, Rice Village, Montrose, The Heights, West University, Texas Medical Center, Downtown Houston, and easy access to to all major freeways such as Sam Houston Tollway (Beltway 8), the Tomball Tollway (Texas State Highway 249), Interstate 10, which is a wonderful option for parents located between Katy and Downtown, as well as the Grand Parkway, which is a lovely route for parents visiting from the northern suburbs, such as Spring, Conroe, The Woodlands, etc. Construction Plans for the New Office & Studio Below | Coming May 2019!